SA: Q&A How can I gain approval to renovate my lot? You are here: Home / Maintenance & Common Property / Maintenance & Common Property SA / SA: Q&A How can I gain approval to renovate my lot? This question about gaining approval to renovate has been answered by Flavia Ger, Ace Body Corporate Management. Question: How to I gain approval to renovate my lot? I wish to update my garage and change the roof. The other lot owners do not agree with my proposed changes. I own a property in a small group of 3 units. Our group is self managed. I am the only owner occupier in the group. I’d like to do some renovations to my unit and I am having some difficulty understanding what my rights are within the strata. My unit in the last one in the group. It has a garaged attached to it which doesn’t share any access with the other units. The garage is in a poor state and has rotten and needs to be replaced. I have mentioned to my strata group that I would like to get the garage replaced and in doing so I would like to change the garage from a flat roof to a pitched roof. The other members of the strata have said they are not in favour of a pitched roof even though I believe it will look better and they also argued that improving the garage would cost them more in insurance premiums. Is there an easy way to tell whether the garage is part of the strata group and is there any way I can make the change to my unit? I don’t think that these are unreasonable adjustments but I’m not sure what I can do. Answer: Has your strata corporation made any specific resolutions on repairs and maintenance for areas that are for the exclusive use of a particular unit? We understand self-managing a group can be a bit complex especially when issues arise, however, it is the responsibility of the corporation to maintain the common property as per the Strata Titles Act 1988. It is also necessary to take a look at the strata plan to check the boundaries of lots and common property. Generally, common property is any land or space that is not within a unit. A unit may also include an area defined on the unit plan as a ‘unit subsidiary’, which is not common property but an area for the exclusive use of a particular unit. Unless the strata plan states otherwise, a wall or fence between a building that forms part of a unit and a unit subsidiary to that unit is part of the common property. Without checking the plans and resolutions I cannot confirm if the garage is a unit subsidiary or not. Has your strata corporation made any specific resolutions on repairs and maintenance for areas that are for the exclusive use of a particular unit? The Strata Titles Act section 27(6) also states that if the strata corporation carries out work that wholly or substantially benefits a particular unit or group of units, the corporation may pass on these costs to the unitholder. Hence, it would be good to check if any of the other units have similar issues, especially if they were all built at the same time. I would recommend for the group to organise a builder to check all units to see if they need work or not. That way, all units are repaired at the same time. If the other owners do not wish to undertake repairs / replacement, to get the corporation to approve the work at your unit a general meeting should be convened so that the body corporate members can decide on what action to take. You can add a motion requesting repairs / replacement on the meeting agenda with details. If you are proposing to replace the garage with new materials (not like for like) and change the appearance of the roof, this will be deemed as a special resolution / motion. Special resolutions must be proposed by at least 14 days written notice to all unit owners (by calling a general meeting). You will have to provide details of the proposed works, including specifications, how this work will be funded (Strata cost or part-payment by owner?) and ideally a report from a builder, particularly if structural works are proposed. A special resolution is required to: authorise changes to the external appearance of a building by a unit owner – section 29(1)(b)]. A special resolution is achieved if the resolution is passed at a properly convened meeting of the strata corporation and the number of votes (if any) cast against the resolution is 25% or less of the total number of votes that could be cast at a meeting at which all unit owners are present and entitled to vote – section 3(1)(a)]. You are within your rights to request for alterations or additions to the external appearance, however, the corporation can choose to approve or refuse this. If you are not happy with the decisions made by the corporation, you will need to make an application to the Magistrates court. Regarding Insurance, you can check your current building cover to see if there is a provision that includes lots owner’s fixtures and improvements. Most strata insurances have this element included in their policy. Talk to your insurance broker about this. It will be handy to gather this information to submit to the agenda. If the cost for the upgrades is more than what the standard insurance cover provides for owners fixtures and improvements, your corporation can make a decision on how this will be paid. 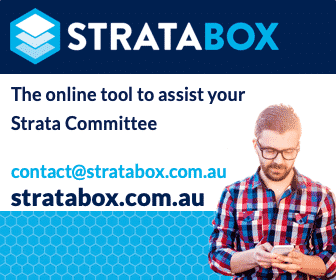 SA: Q&A Changing Strata ByLaws: How do we go about this? Visit Maintenance and Common Property OR Strata Information South Australia.